Eyenetwork can provide video conferencing rooms in almost every major city in the world. 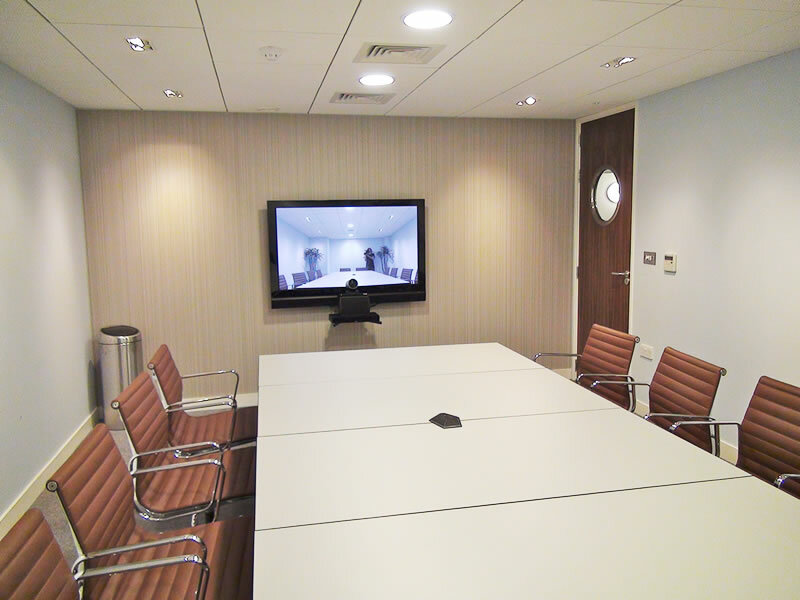 Have a look at the video conferencing facilities we offer on our webpage. The rooms offer complete privacy for your meeting and are installed with professional video conferencing equipment enabling you to connect you to the other party. Some venues have several rooms, so you can choose the most suitable one for the size and nature of your meeting. There is of course staff on site throughout the duration of the meeting. They will assist you to set up the meeting upon your arrival, and provide support during the call if necessary. All we need from you is the location, date, start time and duration. We can then check availability of the venue and set up the meeting for you. We have a special relationship with our venues so some locations will also offer services outside office hours and during Public Holidays. If you require any additional equipment or services, we will check with the venue and see if we can accommodate them. Hiring a video room is a great solution to save time and eliminate travelling. It is quick easy and cost effective. Video conferencing eliminates the obstacle of distance and can transform a stressful time-consuming journey into an experience where the candidate/participant only has to worry about locating the venue; we take care of the rest! Also, by engaging in video conferencing you are avoiding unnecessary flights which are a growing cause of CO2 emission. We are a green company and promote green business solutions to help save the planet. With over 2 decades of experience with booking and managing video calls we will make sure we locate the perfect venue for each client. If we do not have facilities available in your location, we offer alternative solutions to connect you on the go. For more details about our services please visit our website.